Earthquake data composes an ever increasing collection of earth science information for post-processing analysis. Earth scientists, local or national administration officers and so forth, are working with these data collections for scientific or planning purposes. 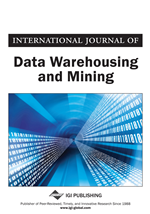 In this article, we discuss the architecture of a so-called seismic data management and mining system (SDMMS) for quick and easy data collection, processing, and visualization. The SDMMS architecture includes, among others, a seismological database for efficient and effective querying and a seismological data warehouse for OLAP analysis and data mining. We provide template schemes for these two components as well as examples of their functionality towards the support of decision making. We also provide a comparative survey of existing operational or prototype SDMMS.